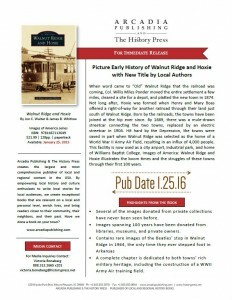 “Images of America: Walnut Ridge & Hoxie,” a new book by local authors Jon Walter and James Whitlow, has been published and will be released January 26, 2016. 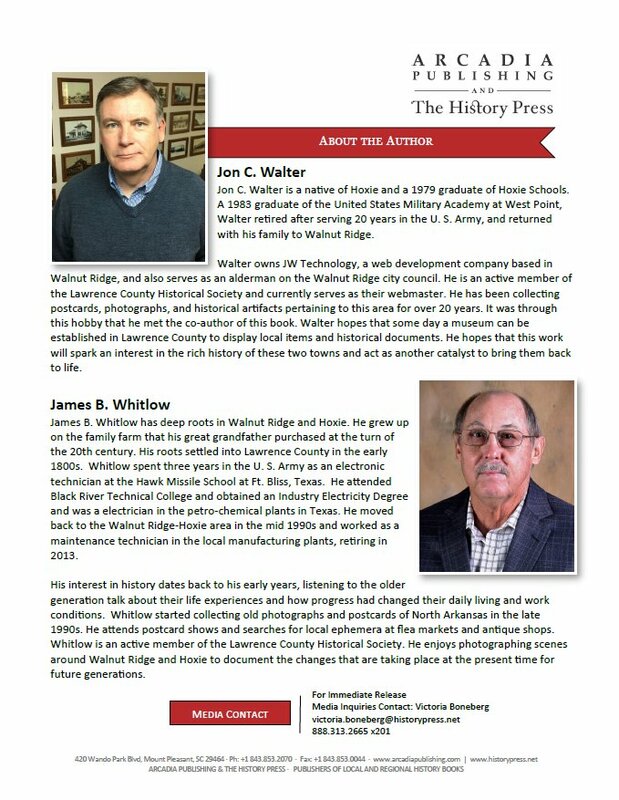 The authors have announced their first book signing, scheduled for Tuesday, Jan. 26, from 4 to 6 p.m. at Imagine, 201 West Main, in downtown Walnut Ridge. 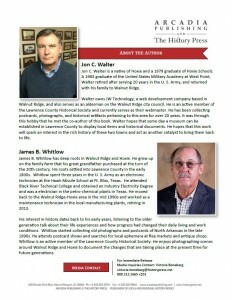 Books will be available to purchase there, or for those who have preordered books online and selected to pickup “locally,” their books can be picked up that evening. 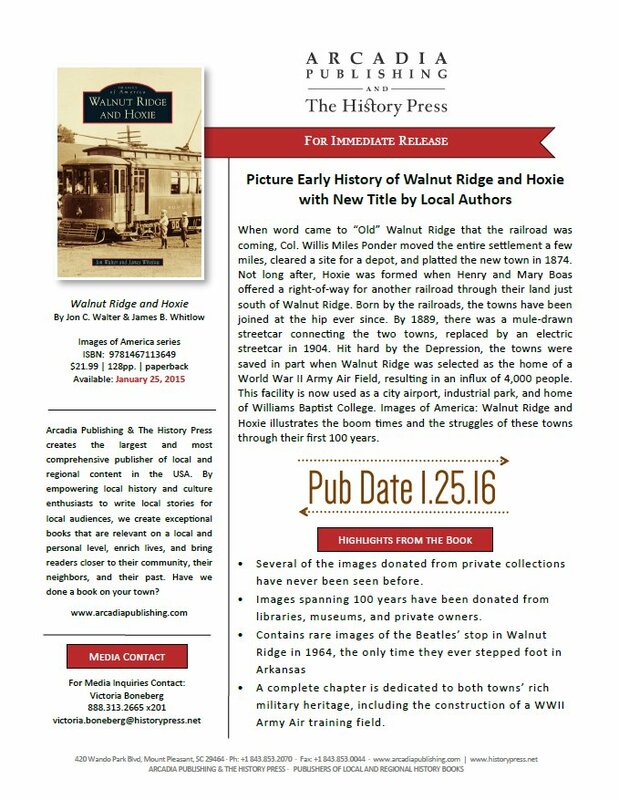 The book is a photographic history of Walnut Ridge and Hoxie and contains over 200 images spanning the first 100 years of Walnut Ridge and Hoxie with detailed and well-researched captions.